Gratis NOLA! 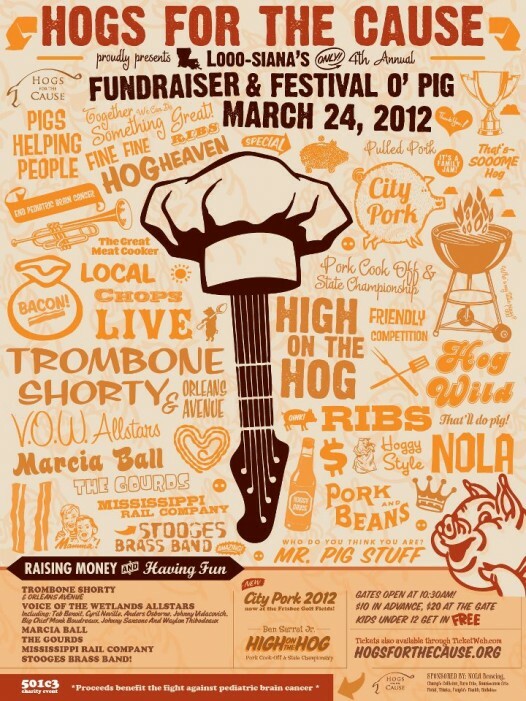 : Hogs for the Cause - It's a Pork & Music Lovers Paradise - March 24th! 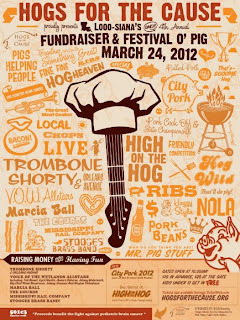 Hogs for the Cause - It's a Pork & Music Lovers Paradise - March 24th! Great music plus yummy BBQ for a great cause can only mean one thing, and that's Hogs for the Cause (Hogs)! 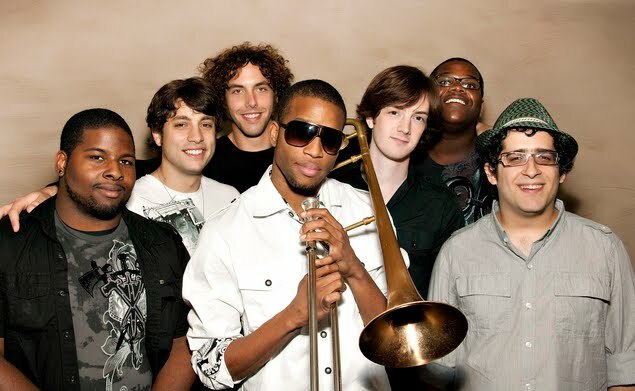 The pork (and music) lovers paradise is back in City Park on Saturday, March 24th - so, get ready to get high on the hog with Louisiana’s only all-pork competition & fundraiser featuring an incredible musical line-up, including Trombone Shorty & Orleans Avenue, Voice of the Wetlands All-Stars, Marcia Ball & more! In its fourth year, the annual fundraiser has grown featuring a larger location, more competitors, expanded on-site activities, and new competition categories. Event founders have set a goal of raising $350,000 to help support the fight against pediatric brain cancer. And when gates open at 10:30 AM, attendees will be inundated with the sounds and smells of Louisiana, including an array of delicious pork dishes prepared by 60 competitors, bites prepared by local food truck vendors, and ice cold beer provided by sponsor NOLA Brewing. New to Hogs this year is the Porkade, an adult-themed arcade including games like “Ring Around the Rosé” Wine Toss, as well as VIP ticket packages. Festival goers will also have a chance to vote for their favorite team through the "free" Hogs iPhone application. “By engaging fans to vote for their favorites, we expect this year’s festival to be the most competitive ever. I can’t wait to see what all of our teams cook up,” says co-founder, Rene Louapre. And Hogs isn't just about the pork - check out the musical line-up! So make your plans to come out to Hogs - It's going to be a fun filled, music loving, pork filled day for a very worthy cause. Recognizing the need by more children and families for their support, Hogs for the Cause, a 501(c)(3) non-profit organization, has distributed nearly $75,000 in grants to families with children battling pediatric brain cancer, filling the gap on expenses where insurance might not cover, alleviating the financial burdens associated with the disease. General Admission - $10 in advance / $20 at the gate / Kids Under 12 Get in Free! 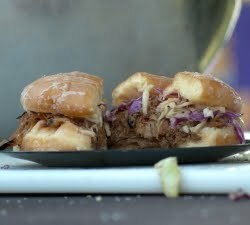 For more information or to purchase tickets, please visit www.HogsfortheCause.org.